For those of you looking for new works, this appears to be one! Estreno: Palacio de la Ópera de A Coruña – enero 2013 – Orquesta Sinfónica de Galicia OSG/ Director: Josep Pons. Oboe solista: Casey Hill. Premier: Palacio de la Ópera de A Coruña – january 2013 – Orquesta Sinfónica de Galicia OSG/ Conductor: Josep Pons. Oboe solist: Casey Hill. “I always loved the skate way of life and I think it is still my mind set. Being a composer has many things in common with practicing some ollies, slides and grinds on a skateplace: Hard, sometimes painful work resulting in an ability without any obvious value. Yet, it feels like total freedom. Getting the oboe back out… not playing for a month wasn’t the best idea. ah such a busy day! sports day…oboe competition…i came 2nd! yay! 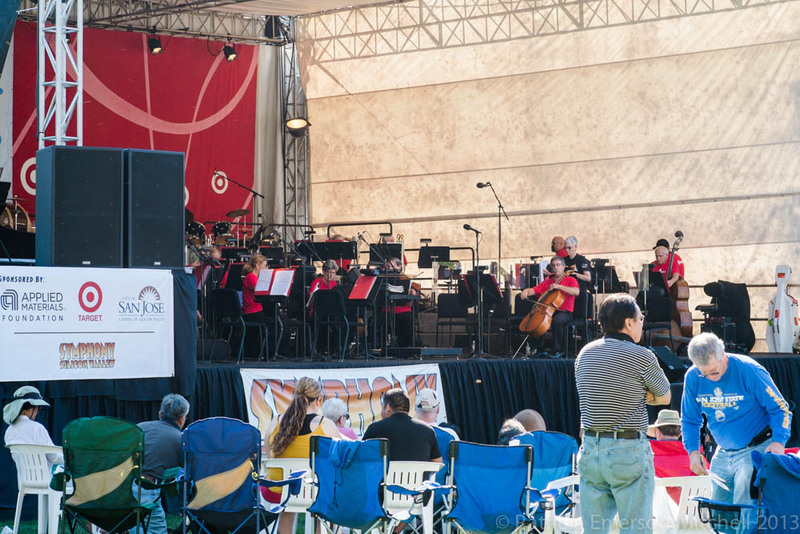 We had our first of four (for me) Symphony Silicon Valley’s Target Summer Pops concerts this weekend. It was great fun. The crowds seemed to enjoy both performances, and I’m sure we’ll have similar experiences this coming weekend. While I know practice is of utmost importance, I find a really great way to force myself back into shape is to have rehearsals and performances. Even if I think I’m getting tired I simply can’t say, “Sorry, I’m done for the day,” as I can when I’m home alone, hacking away at things. Outdoors is a nice way to go, as I don’t have to worry so much about those pianissimo attacks: we are still expected to play dynamics, but it’s just less stressful when outside. The first was a general pops sort of concert, and I was only on second oboe — a nice way to begin! 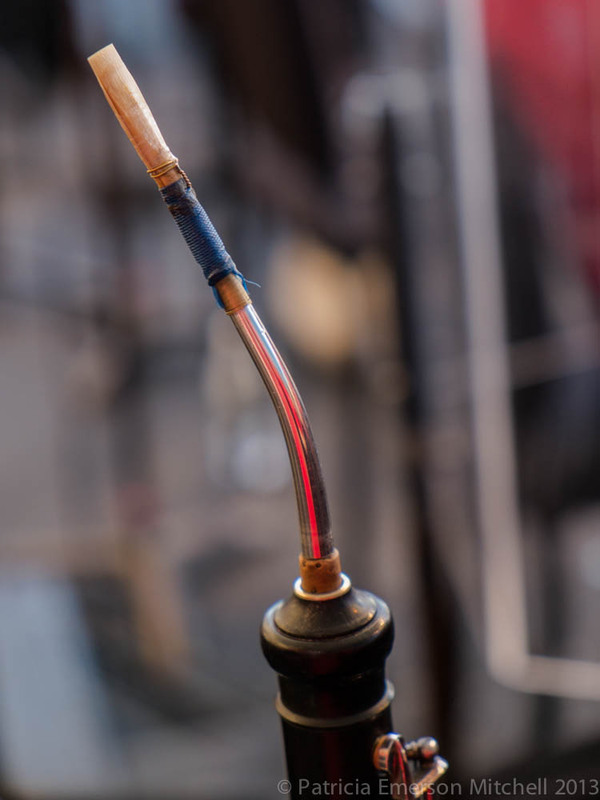 My ears are still plugged from my cold, and hearing well was impossible, so I had to rely on instinct and hope that the principal oboe would let me know if I was totally off. Playing with a head cold is not fun at all. I also found that I would cough any time I played in the higher range. I think this was due not only to the cold, but to closing my throat. I hate when I do that! I felt bad for my colleagues, who had to put up with my hacking away. The second concert was our “Wild, Wild West” one, and it had a good number of notes. I also played both oboe and English horn, and it was good to have a go at both. I also seemed to have lost the coughing issue for the most part. And yes, my mouth was very tired at the end! Between the two services on Sunday I took a short and quick walk (I have to at least get a mile or two in!) and ended up at Caffe Frascati, my sort of “go to” place when I’m at symphony, opera, or even on a long walk to downtown. The barista and I talked about the symphony event, and he mentioned that he walked by on his way to work both Saturday and Sunday. He loved it, and listened for a while. He’s young … and that is what I want to hear from the younger generations! We need them. When Dan and I are the “young’uns” in an audience, as we often are, I get pretty darn nervous about the future of our music. I so enjoyed seeing (and hearing) such enthusiastic audiences. 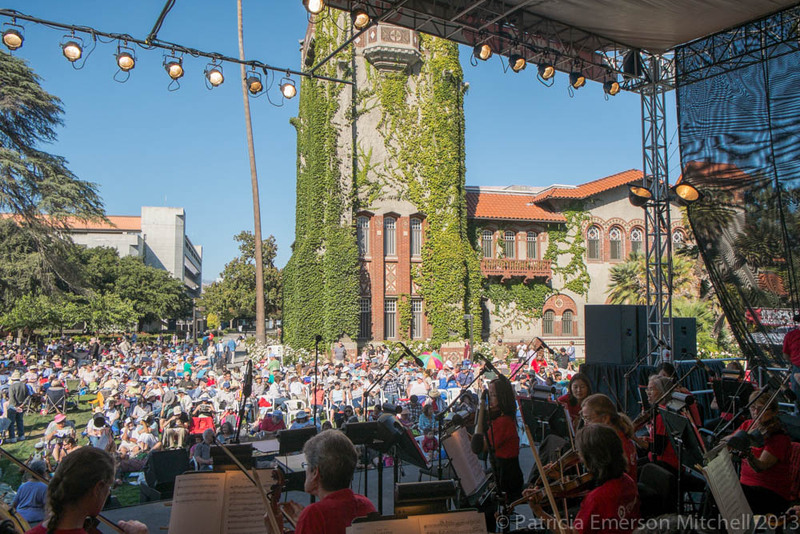 These free concerts are so important for our city and our organization. 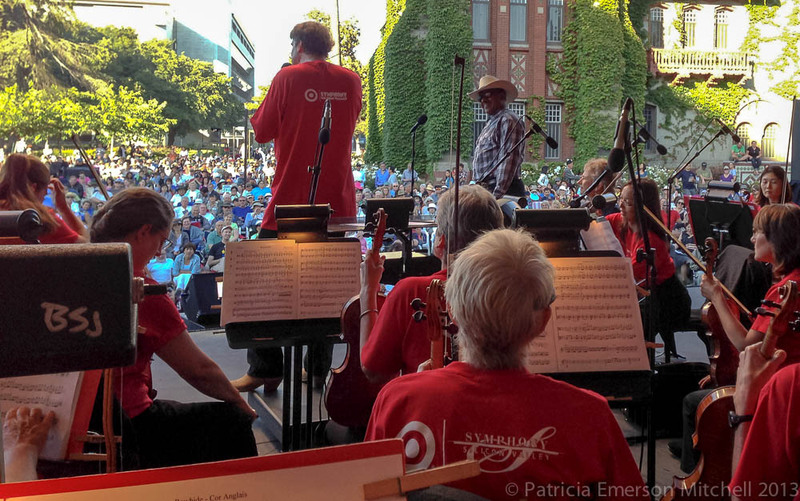 Many thanks to Target, Applied Materials, the city of San Jose, , SJSU and of course my own Symphony Silicon Valley, for helping make these concerts possible! My wild wild reed … obviously in need of retirement!